On today’s episode of THE FOOD SEEN, we consider Will Horowitz a naturalist, which all fishermen/foragers should be. Whether you have a legacy of French-trained chefs and/or traditional Jewish Delicatessens or not, which Horowitz has on both sides of his family tree, he argues we as people must strive towards a sense of “living alongside” nature. Much of Horowitz’s culinary education is based in symbiosis, whether it’s serving food saved through heritage techniques (smoking, curing, fermenting) at Ducks Eatery, or stocking us with permaculture provisions at Harry & Ida’s Meat Supply Co. Yes, Horowitz makes a mean pastrami sandwich, and you may have heard about the Smoked Watermelon “Ham”, but past the gimmick, there’s stratagem in his sustainability. 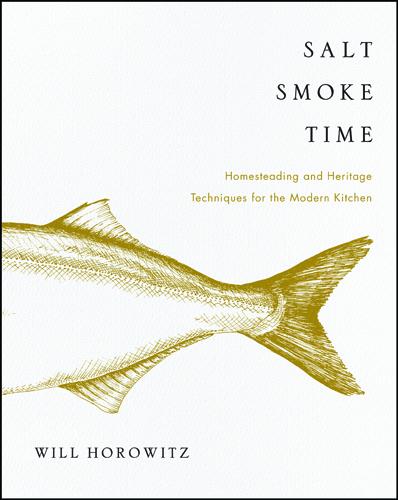 Horowitz teaches us how dry-cure and brine, dehydrate and preserve, stocking our pantry for recipes on either side of the growing season in his book SALT SMOKE TIME.